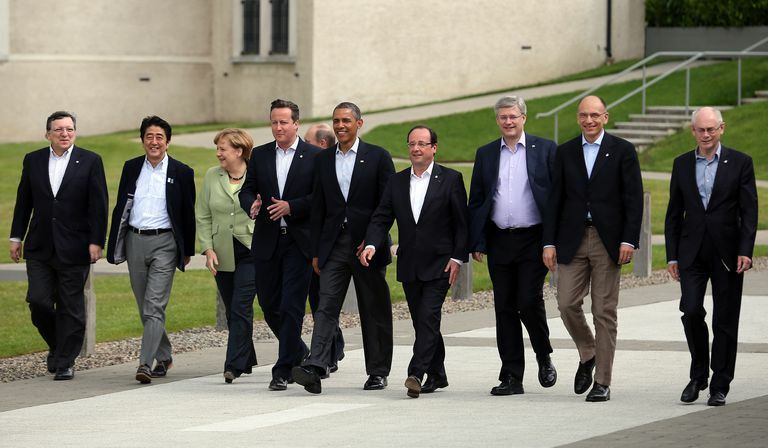 The G8, or Group of Eight, is a slightly outdated name for the annual meeting of the top global economic powers. Conceived in 1973 as a forum for world leaders, the G8 has, for the most part, been replaced by the G20 forum since about 2008. But in 2013, the other members voted to oust Russia from the G8, in response to the Russian invasion of Crimea. 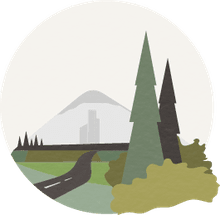 The G8 summit (more accurately called the G7 since Russia's removal), has no legal or political authority, but the topics it chooses to focus on can have an impact on world economies. The group's president changes annually, and the meeting is held in the home country of that year's leader. Originally, the group was comprised of six original countries, with Canada added in 1976 and Russia in 1997. The first official summit was held in France in 1975, but a smaller, more informal group met in Washington, D.C two years earlier. Informally dubbed the Library Group, this meeting was convened by U.S. Treasury Secretary George Shultz, who invited finance ministers from Germany, the UK, and France to meet at the White House, with the looming Middle East oil crisis a topic of serious concern. In addition to a meeting of the countries' leaders, the G8 summit typically includes a series of planning and pre-summit discussions ahead of the main event. These so-called ministerial meetings include secretaries and ministers from each member country's government, to discuss the topics of focus for the summit. There was also a related set of meetings called the G8 +5, which was first held during the 2005 summit in Scotland. It included the so-called Group of Five countries: Brazil, China, India, Mexico and South Africa. This meeting set the basis for what eventually became the G20. In 1999, in an effort to include developing countries and their economic concerns in the conversation about global issues, the G20 was formed. In addition to the eight original industrialized countries of the G8, the G20 added Argentina, Australia, Brazil, China, India, Indonesia, Mexico, Saudi Arabia, South Africa, South Korea, Turkey and the European Union. The insights of the developing nations proved critical during the economic crisis of 2008, which the G8 leaders were largely unprepared for. At the G20 meeting that year, the leaders pointed out the roots of the problem were largely due to a lack of regulation in the US. financial markets. This indicated a shift in power and possible lessening of the influence of the G8. In recent years, some have questioned whether the G8 continues to be useful or relevant, especially since the formation of the G20. Despite the fact it has no actual authority, critics believe the powerful members of the G8 organization could do more to address global problems that affect third world countries.